A vote Tuesday by the Pitkin County commissioners allows the county staff to pursue Forest Service approval of a 7-mile stretch of trail between Redstone and McClure Pass. The stretch pictured is near Placita. The trail proposal that has divided residents of the Crystal River Valley over the past two years also divided Pitkin County commissioners Tuesday. The commissioners voted 3-2 to approve the Carbondale to Crested Butte Trail Plan. Board members Patti Clapper, George Newman and Rachel Richards supported the plan. Greg Poschman and Steve Child opposed it. The approval doesn’t authorize any construction. It clears the way for the Pitkin County Open Space and Trails staff to formally ask the U.S. Forest Service and Colorado Department of Transportation to study a 7-mile stretch of trail from Redstone to the summit of McClure Pass. Some of that proposed route is along the Highway 133 right-of-way while parts are in national forest. Commissioner Patti Clapper said she supported advancing the plan because it will undergo so much more public scrutiny. “We may not build another segment of this trail for 10 years. We may not build anything at all,” Clapper said. The plan says more studies and public input are needed to determine trail alignments along a 12-mile stretch from KOA campground south of Carbondale to Redstone. An existing trail ends at the campground. Pitkin County will undertake extensive review, involving “stakeholders” from area residents to trail proponents. Poschman credited Open Space and Trails staff with undertaking an “amazing process” to study the trail, but expressed fundamental doubts about the project. There are already backcountry trail routes that access Crested Butte, he noted. Poschman also questioned if Pitkin County government should pursue something that has caused so much contention. “Really, what are we doing here?” he asked. The contention that’s been part of the process spilled over to Tuesday’s three-hour hearing. Eighteen members of the audience spoke during the public comment period — 11 expressing support for the trail and seven opposed. Doris Downey said the trail is needed so Crystal River Valley residents such as her can walk safely to Redstone and stay off the highway. “My neighbors and I will use it daily,” she said. She wants the alignment kept off the highway in the area of Bear Creek and McClure Pass. Critics of the off-highway alignment said it will have too great of impact on wildlife habitat. Downey challenged that claim. “I think you can be a lover of wildlife and a supporter of the trail,” she said. Crystal Valley resident Delia Malone disagreed. She noted that wildlife experts past and present with the Colorado Department of Wildlife have said the trail would be detrimental to wildlife. “I am a big proponent of using science to guide decisions,” she said. Other speakers questioned the credibility of wildlife studies by CPW and Wilderness Workshop, an environmental group that funded its own study. Poschman expressed his frustration with “he said, she said” conflicting information on the trail’s potential effects on wildlife. Carbondale resident Karin Teague urged the commissioners to consider a broader perspective. She noted the Roaring Fork Valley experienced a destructive wildfire this year, drought, historically low streamflows and a low snowpack — all the product of climate change. Spruce beetle infestations will likely soon affect the area, she said. Teague said Pitkin County has been a leader on environmental issues. It should continue that tradition by using its open space funds to acquire habitat, fund highway overpasses to allow greater mobility by big game, and work on water quality and quantity issues. “I think things are urgent and I’m worried,” Teague said in emotionally charged comments. She urged the commissioners to use funds with foresight on the environmental challenges. “I personally don’t think we have the luxury anymore of new trail projects,” she said. In response, Commissioner Newman said the majority of dollars in the open space program’s 10-year plan are devoted to acquiring large land parcels. He also said the top CPW officials in the region have told him they credit Pitkin County for wildlife-friendly initiatives, such as tough building codes in rural areas, seasonal trail closures and enforcement. Newman and Richards said they believe construction of additional homes in the Crystal River Valley will have a greater impact on wildlife than a trail. The trail vote was one of the last official acts for Richards. She will leave office next month because of term limits. “This is a tough seat here for all of us,” Richards said of the decision. She expressed support for the trail because it will improve safety and still face extensive review before any construction. Richards also pointed to success of other trails that have become part of the fabric of the Roaring Fork Valley but faced substantial opposition at one time. Child said he could support the plan only if it addressed the Redstone to McClure Pass segment, which he supports. He has concerns about a trail getting built between KOA and Redstone. The rights of private property owners and wildlife “have been run roughshod over” during the trail planning, he said. “I’m kind of like Greg. I question if we need the whole trail to be built,” Child said. For now, the only question is whether the Redstone to McClure Pass section will be built. 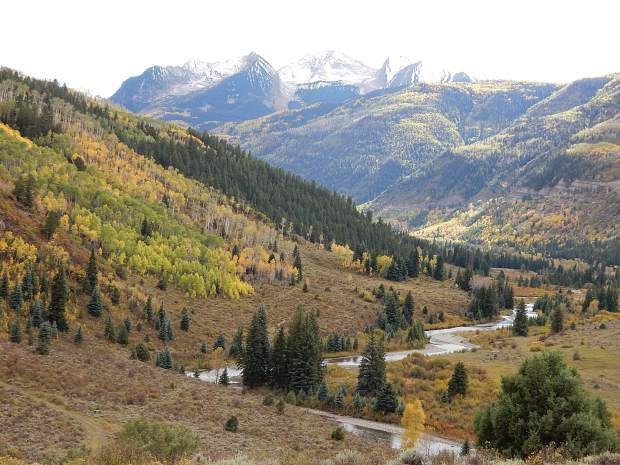 Gary Tennenbaum, executive director of Pitkin County Open Space and Trails, said his office would ask the White River National Forest to initiate its review process within the next two months. The county will have to pay for the review since it is an outside party proposing a use of national forest. The trail plan can be found online at http://www.pitkinOSTprojects.com.